At Virginia International we are in partnership with Bord Gais working on Ireland’s first CNG project. 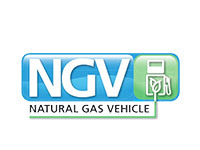 As the leader in this market we have seen the benefits of converting to CNG Trucks. We have recently installed our own high pressure compressor onsite in our Dublin Depot to allow us to further benefit from the results we have already seen. We currently have 5 CNG vehicles with a further 15 on order throughout 2019. A new refueling station with two compressors will be installed in our Virginia Depot in mid 2019.